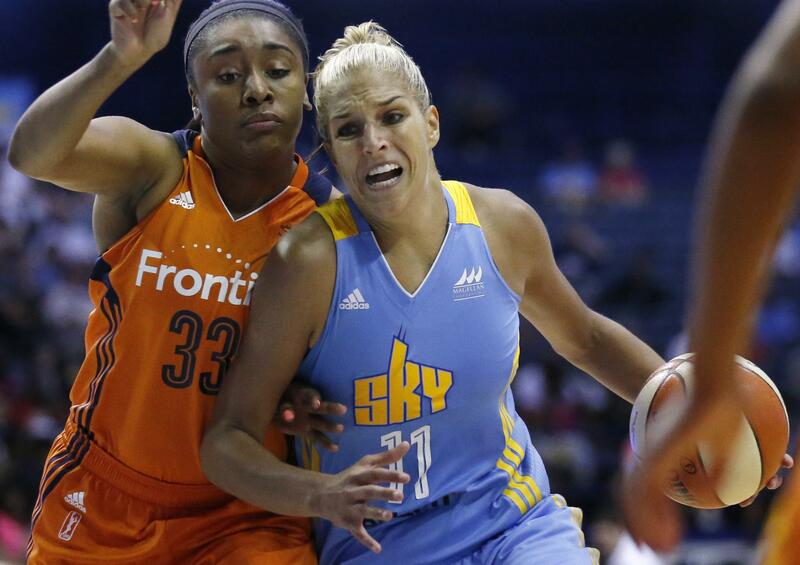 Elena Delle Donne is headed to Washington in one of the biggest trades in the WNBA’s history. The 2015 MVP is joining the Mystics after being traded from the Chicago Sky on Thursday for Stefanie Dolson, Kahleah Copper and the No. 2 pick in this year’s draft. The move gets her closer to her Delaware home. Family has always been big with Delle Donne. She left UConn after two days because she wanted to be closer to home and her family, including her sister, Lizzie – who is blind, deaf, and has cerebral palsy – and enrolled at Delaware, where she went on to have an incredible collegiate career. Now she can get home from Washington in less than 2 hours. Delle Donne averaged 21.5 points and seven rebounds a game last season, helping the Sky reach the playoffs. She missed the postseason after thumb surgery. The 6-foot-5 forward continues to deal with the lingering effects of Lyme disease, which she has battled since 2008. It forced her to leave China less than 48 hours after she arrived there earlier this month to play in the country’s professional basketball league. “Completely confident I’ll be ready to play the WNBA season,” Delle Donne said. Delle Donne is the second big-name player to leave Chicago in the past two seasons via trade. Sylvia Fowles sat out the first part of the 2015 season until she was traded to Minnesota. The move gives Thibault a star player to build the franchise around. The Mystics were 13-21 last season after reaching the playoff the three previous years. Washington shipped Kia Vaughn and Bria Hartley to New York in a three-way trade on Monday, clearing room under the salary cap. Delle Donne will team with young star Emma Meesseman and Tayler Hill, who went fourth in the 2013 draft after Brittney Griner, Delle Donne and Skylar Diggins. Chicago loses its star, who was embraced by the Windy City. Delle Donne even named her dog Wrigley after the home of the Chicago Cubs. The Sky have a strong roster, with talented veterans Cappie Pondexter, Courtney Vandersloot and Allie Quigley, along with Dolson, Copper and second-year player Imani Boyette. Published: Feb. 2, 2017, 6:19 p.m.